Kobe Bryant is one of the most dynamic and prolific scorers in the history of the NBA. His secret is versatility – he can score the ball from a variety of positions on the court, against a variety of defensive looks. Include these 3 basketball training drills in your regular workouts and you’ll become a more versatile scorer too! Establish post position at the mid-post (instead of the low block) gives you more room to face up and beat your defender, and can make it more difficult for the defense to double team you. 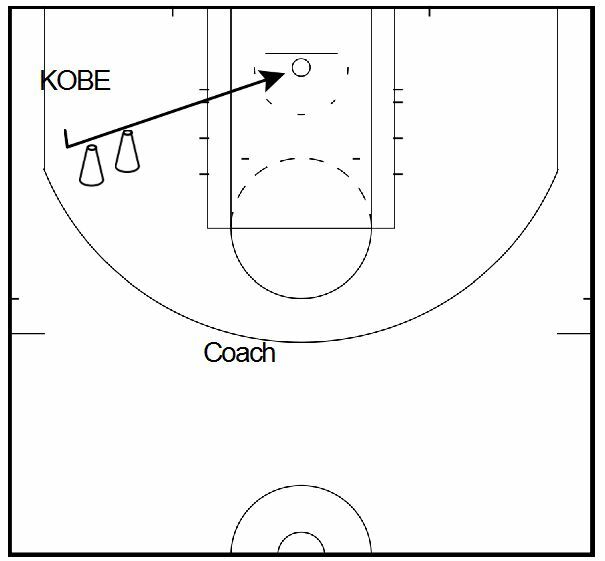 Kobe gets a lot of good scoring opportunities by catching the ball in the mid post, squaring up to the hoop (or “quarter facing”) toward the hoop, then making a quick move. 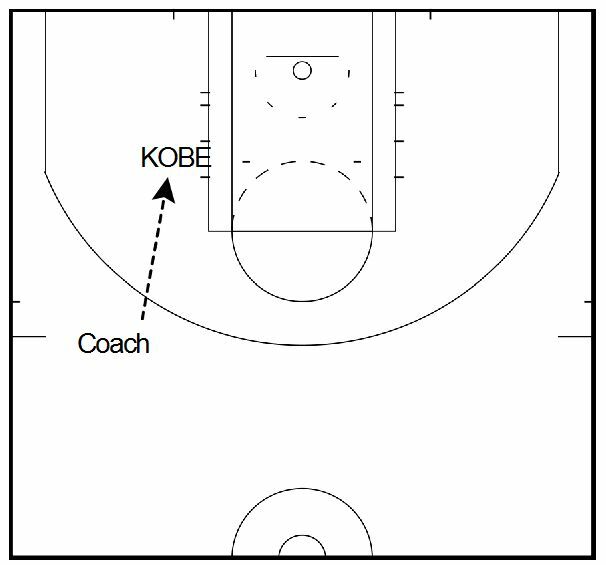 Make 10 of each shot type on either side of the basket. 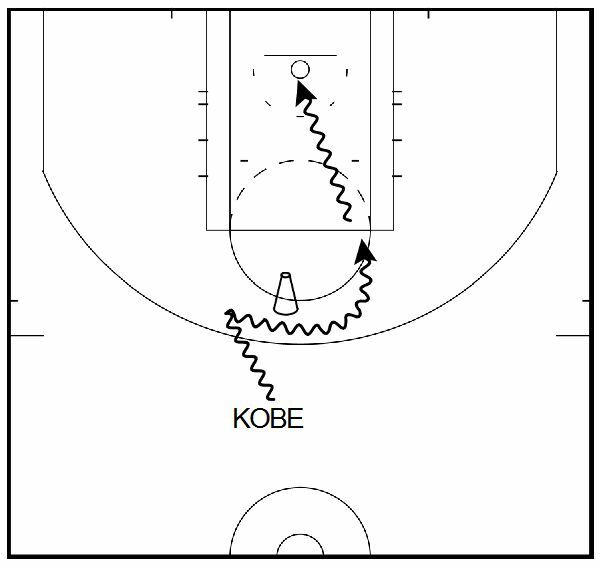 Alot of teams deny Kobe the ball off a down screen because of they don’t want to allow him to catch the ball on the wing in a one on one situation. 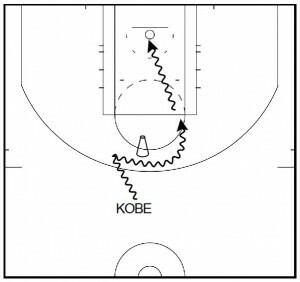 Kobe is great at reading this and slipping back door for a layup… and you can be too if you practice this simple drill. Set up a pilon or chair at the wing position, around 20 feet away from the hoop. Start at the block, and pretend your teammate is coming down to set a downscreen for you. Use a quick misdirection, then explode up toward the wing to receive the pass. When you reach the pilons, pretend you are being denied by your defender. 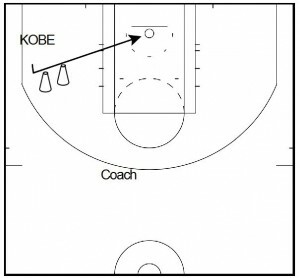 Then make a sharp back door cut, receive the ball, and finish the layup. Make 25 layups on each side of the basket. Kobe is one of the toughest players in the league to guard off the pick and roll. He likes to come off the pick, hesitate at the elbow, then attack based on what the defense is giving him. Put up a pilon or chair at the top of the key. Work on setting up your defender for the screen by attacking the left lane first, crossing over, using the screen and penetrating toward the right elbow. This allows the screener to pin your defender and create more space for you off the dribble. Pull up jump shot – use this one if the defense is sagging off you and not challenging you at the free throw line. 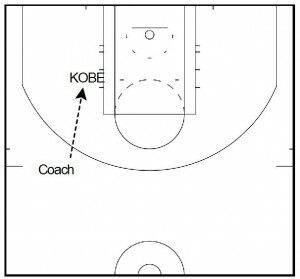 Hesitate and go – if a help defender is closing out too quickly and not under control, you can take advantage by raising up a touch (to bait him into thinking you are pulling up for a jumper), then blowing right past him to the basket. Make 10 of each move from either side of the basket. Remember to emphasize quality over quanitity with your basketball training drills. Slow it down and master the footwork first – then work on making these plays at full speed. 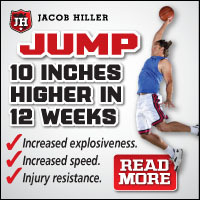 Looking for More Basketball Training Drills? Check out our free basketball training drills library… including 98 proven workout drills inspired by the league’s best players!